The OpenSesame team is pleased share a new catalog of management, soft skills and ethics courses from Quality Media Resources (QMR). The QMR team, led by founders Robert and Patricia Rosell, builds excellent courses that use video to illustrate abstract concepts with real examples, excellent characterizations and compelling stories. 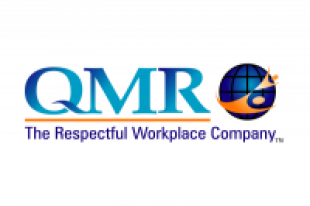 Since 1992, QMR has dedicated their team to producing training programs that enable organizations to develop respectful and productive workplace relationships, based on trust and a system of shared values. Soft skills – things like communications, listening, leadership and emotional intelligence – can be difficult to illustrate. QMR uses a combination of excellent actors in interesting scenarios and real-world interviews with executives who have confronted these issues on the job and share their advice and lessons learned. An interview with an Enron executive talking about corporate ethics really gets your attention! QMR’s story-telling technique brings concepts to life, demonstrating, for example, why strong core values make your organization more successful. QMR does broad research and interviews people from diverse industries to provide useful examples that speak to many different work environments. In addition, QMR uses a short quiz at the end of each course to ensure learners have absorbed the core material. With courses in French and Spanish (in addition to English), QMR’s courses meet the needs of diverse workforces. Dialogue – Now You’re Talking!